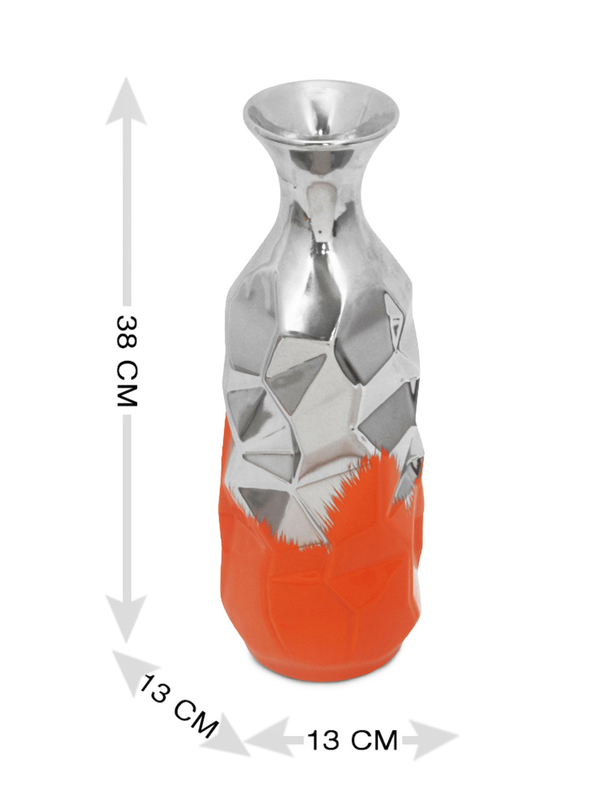 Here is a shiny little flower vase which will attract the eye of beholders far and wide. Brought to you by @home, this flower vase gleams in a dash of orange and will compliment any and all of your fresh or artificial flower arrangements. It is a unique flower vase which will set the foundation for an eye catching ambience. The 38 cm tall ceramic flower vase forms part of a range of artful glassware featuring simple to exquisite designs.